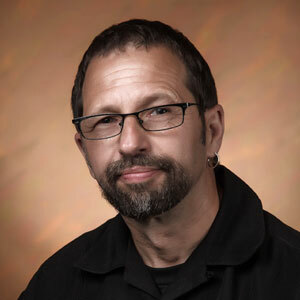 Bruce Sapach, Team Leader, Community Integration Managers, has been involved in treatment oriented capacities with various social service agencies since 1980 upon receiving his B.A.(Psych.). His work has focussed on providing support to high needs youth and adults (often involved in the criminal justice system) and families in crisis. Bruce obtained a Bachelor of Fine Art (Honours) degree in 1991 followed by Master’s of Fine Art from Alfred University, New York State. After returning to Winnipeg he re-involved himself in the social services community while maintaining an art studio and teaching at the Winnipeg Art Gallery. His artistic sensibility is a vital influence in the way he works with clients and his involvement in both of these areas is viewed as complimentary in their mutual reflection of his interest in the human condition. Shosana Funk, Program Manager, came to FPS after several years of volunteering and working as a program assistant with Circles of Support and Accountability (CoSA), a volunteer-based program assisting individuals with high risk of reoffence integrate back into our communities. Through her time with CoSA and her BA in Conflict Resolution Studies, Shosana was introduced to the benefits of a holistic therapeutic approach for high risk and high need individuals. She is excited to be working within such a model, where she has the opportunity to both work with female offenders and as a female, work intensively with males who have a history of violence against women. Shosana completed her Master of Arts in Conflict Analysis and Engagement at Antioch University McGregor in 2010. Shosana joined the FPS team of Community Integration Managers in 2007 and moved into the role of Senior Community Integration Manager in 2012. Shawn VanWalleghem, Coordinator Traditional Healing Services, Spiritual Helper/Community Integration Manager, has been an active participant in traditional Cree and Ojibway ceremonies and gatherings for a number of years. Shawn began his work in the community as an Elders helper, keeping fire for Sweat Lodge ceremonies and travelling to communities in Northern Manitoba and Western Canada. Since that time he has become a pipe carrier, the Head Scabee at the Two Suns Prayer Lodge Sundance and has travelled to Australia and Montana with the International Sundance as a singer. Shawn has sat with the Elders in the community and gathered teachings, earning the responsibilities of fast camp conductor and Sweat Lodge conductor. Besides his work at FPS, Shawn is also a mentor and role model to men in the community who are seeking to reconnect with their culture and traditional teachings. He is married with four children and two grandchildren. Daniel Epp is a Senior Community Integration Manager who earned his Bachelor of Arts in Social Science from Canadian Mennonite University in 2011. Since then, he has devoted his career to working with people on the margins within communities, including individuals with offence histories, mental health issues and physical and/or developmental disabilities. Daniel first began working with people who had engaged in criminal behaviour during his time with Circles of Support & Accountability. Passionate about social and environmental justice, Daniel considers it a privilege to build relationships with and support people who are willing to be vulnerable and courageous as they work toward living healthier, more positive, safe and productive lives. Preyansh Patel is a Senior Community Integration Manager who received his Bachelor of Veterinary Medicine in India in 2008 and, after moving to Toronto in 2010 decided to move from helping the four legged to the two legged! He received certification as a Personal Support Worker at Centennial College and since this time has worked with youth and adults who have experienced challenges in living stable and healthy lives in the community. Having worked as a residential youth worker with Child and Family Service of Western Manitoba for over three years now, Preyansh is committed to supporting people lead fruitful lives as valued members of the community by recognizing, supporting and reinforcing their skills and strengths. He enjoys spending quality time with his family and has a passion for travel, exploring new places, meeting new people and for assisting with the social and economic challenges in his home country India. Colin Blyth has a Bachelor of Science from Brandon University, majoring in Psychology with a minor in Sociology. He has worked as a Residential Youth Care Worker for Child and Family Services of Western Manitoba for over 6 years. In this capacity he has supported youth struggling with behavioral problems, helping them to develop life skills, providing them with opportunities to reach their goals, and mentoring them to live healthy, positive lives. Colin has also worked supporting adults to work towards personal growth, stability and healthy living and has experience working on these types of goals with adults who have special needs. Colin believes strongly in working with people from a relational and strength-based approach to help them face, address and overcome challenges and reach their wellness goals. Colin loves spending time with his wife, newborn son, and three dogs and enjoys nature and the relaxing, restorative affect it has on himself and the people surrounding him. Anne Wyman is a Senior Community Integration Manager who graduated of the Applied Counselling Certification Program at the University of Manitoba. Prior to this, Anne studied Conflict Resolution at the University of Winnipeg and focused her studies on restorative justice. Anne has completed victim-offender mediation training at Mediation Services as well as trainings at Circles of Support and Accountability and Addictions Foundation Manitoba. Anne currently co-facilitates the Women’s Recreational Program at FPS and co-facilitates the Reintegration Concerns Training at CoSA. Previous to joining the team at FPS Anne tutored incarcerated men at the Winnipeg Remand Centre through the John Howard Society of Manitoba. Anne approaches her clients with a balance of empathy, authenticity and non-judgement. Geordie Angus received his Diploma of Applied Counselling and Psychology from the Kelowna College of Professional Counselling in July of 2016. Prior to joining FPS and moving to Winnipeg, he worked with a variety of organizations that focus on helping those in need through holistic and multifaceted approaches in Vancouver, including Edgewood Addiction Services and the Lawyers Assistance Program of British Columbia. Since March 2016, he has volunteered extensively with the Mood Disorders Association of Manitoba as a support group facilitator and peer support worker. He believes strongly in client centered and strength based approaches to healing, advocating for high need and high risk individuals and on the importance of empathy and non judgment. Chelsea received her BA from the University of Winnipeg in 2015, having majored in Criminal Justice and Psychology. Her work history has focused on supporting a range of clients overcome barriers that inhibited them from living a healthy, safe and productive lifestyle. Chelsea has volunteered with Elizabeth Fry Society in their literacy program, has worked with female offenders with Differential/Special Needs at the Woman’s Correctional Centre and has provided support and care for high risk youth and other marginalized populations. Chelsea’s approach to supporting clients incorporates a trauma informed care focus and her Aboriginal Traditional knowledge and experiences. She is proud of helping to create Promoting Aboriginal Student Success in 2000, a non-profit organization in Selkirk, Manitoba. Chelsea enjoys spending time with her family and enjoying nature. Ashley graduated from the University of Manitoba in 2016 with a BA majoring in criminology. Her work experience has included acting as research assistant on the Digital Archives for Marginalized Communities, Missing and Murdered Indigenous Women Discourse Analysis project at the University of Manitoba; working as a support worker at the North End Women’s Centre, supporting women coping with addictions and the impacts of sexual exploitation; and working as a Bail Verification and Supervision Worker and the Provincial Reintegration Worker at the Elizabeth Fry Society of Manitoba. These experiences have resulted in Ashley developing a strong understanding of issues related to deep-rooted trauma, the impacts of stigma and marginalization and the consequences of normalization of violence in vulnerable communities. Ashley has long had a passion for working alongside individuals struggling with mental health, addictions, poverty and marginalization. She is committed to working with individuals who have been in conflict with the law and has found her true passion in supporting individuals transition from institutions back into the community and helping them to successfully integrate back in a healthy and safe way. Ashley prides herself in helping and supporting others in their healing journey and is inspired by the resilience and strength of the individuals she works with.